Talk about Birthday parties,if it is ours its fun,if its our friends it all the more fun,what if it’s a small kido’s birthday? After moving here,I have been attending Kids Birthday Parties more than ever before.While P doesn’t miss any of it,more so for the free meal(as always):-D,I often wonder how much he actually enjoys being a part of it.Initially,I used to feel a li’l out of place during these parties as most people had kids leaving the newly weds as minorities.However over a period of time I’ve started getting used to these, reminding myself that I wud be in the same boat sooner or later hosting my kids party.It also makes me realize the amount of patience and responsibility that I need to have before I become a parent.The birthday babies all decked up are blissfully unaware of the colorful surrounding ,clapping hands and multitude of new faces.They look extremely adorable and hog the limelight for the entire evening.Thanks to the technology - Digital Camera,Camcorders etc,these precious moments are captured and can be treasured lifelong.Shopping for gifts isn’t easy either,with tons of cute options available .I wish I were a kid here celebrating birthdays and receiving gifts:). How I wish? Grease an 8 inch square baking tray,with fork mix crumbs,melted butter,Pecans and sugar until crumbs are evenly moistened.With hands,press the mixture evenly onto the bottom of the plate.Bake at 375F for 10mins.Cool it well.This is the usual recipe I follow to make the crust. In a bowl,mix the pudding mix,yogurt and milk,whisk for a minute until smooth(I used an electric blender for a min in low speed).Fold in the whipped topping,don’t try beating it.Drop the Bananas and stir in slowly.Spread this mixture onto the crust(Crust should be at room temperature or cold).Cover and freeze at least for 3 hours or until firm. Remove from the freezer , let it stand for 10min and then cut into squares and top each squares with chocolate syrup. Always store the remaining covered in the freezer. The second time I tried this,I didn’t bake the crust.I went by the original recipe - I spread the crumbs and placed it in the freezer for 10mins,did the topping and it was jes perfect. Am sending this to Sugar High Fridays "Fruit & Nut" (Banana & Pecans are the Fruit and nut that I have used)and since this doesn't contain Egg and is Low on fat this is also off to Madhuram's "Low Fat Baking Event"
Preethi of Preethi's online Cookbook has passed on the lovely blog award.Thanks so much Preethi. 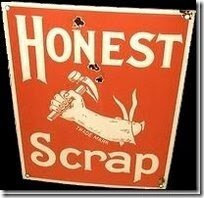 Also, Varsha has tagged me for the "Honest Scrap Award" where am supposed to write 10 things about myself and guess I have already done this here. YUM!! I'm not a good cook but I've gotta try that sometime! It looks like it wasn't too hard to amke right?! Oooh yum yum! Make me one for my b-day?! haha! 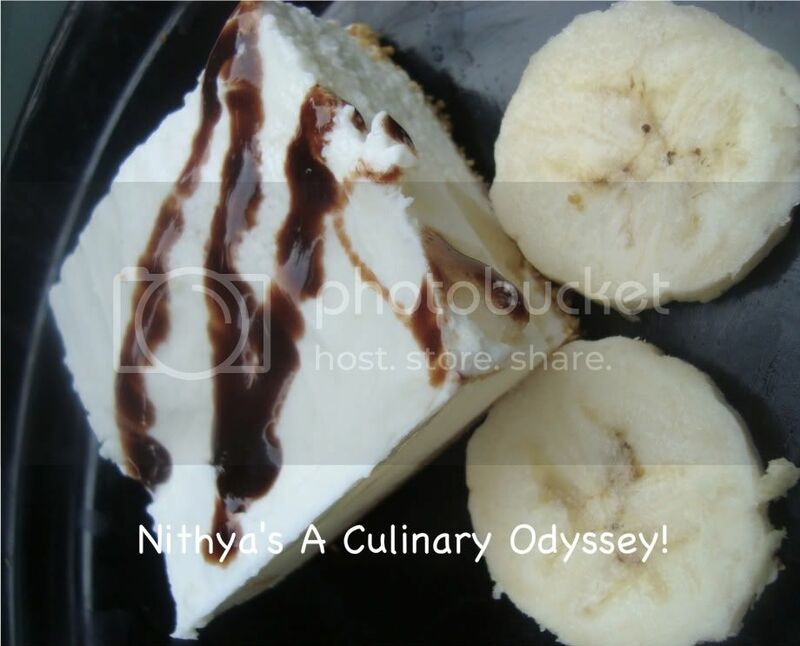 Cool dessert Nithya..sure it stastes yum,with all that banana in it..:)..n I havent been to bday party for a long time..! i know i use to feel the same b4 having my daughter..Even everyone with kids get the return gift too but not the newly wed couples:(..
wow !..will give it a try soon what a lovely looking desert dear ..looks soo yumm and rich !! Looks very delicious. Congrats on your award and thanks for sharing it. oooh! Im drooling! U have done a great job dear! 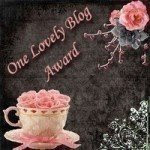 Oh my the frozen dessert looks heavenly, congratulations on the award and thank you so much dear to pass on the award to me! ooh, this is too tempting Nitya!! Well done. looks so good and delicious :) Congrats on the awards. 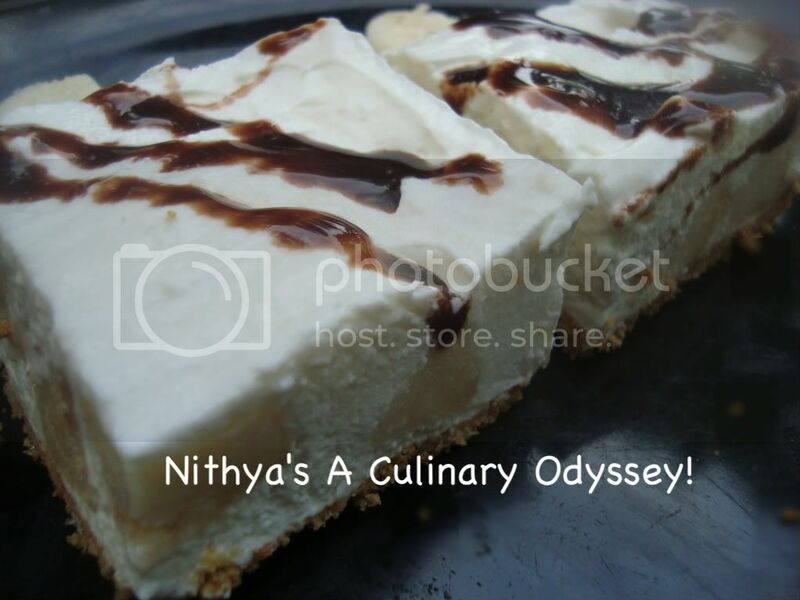 Oh my that looks heavenly Nithya! Low calorie dessert for a perfect giult free indulgence. Love it! Looks divine in one word.. Thanks for thinking of me dear...so chweet..
delicious with the bananas , yum yum! 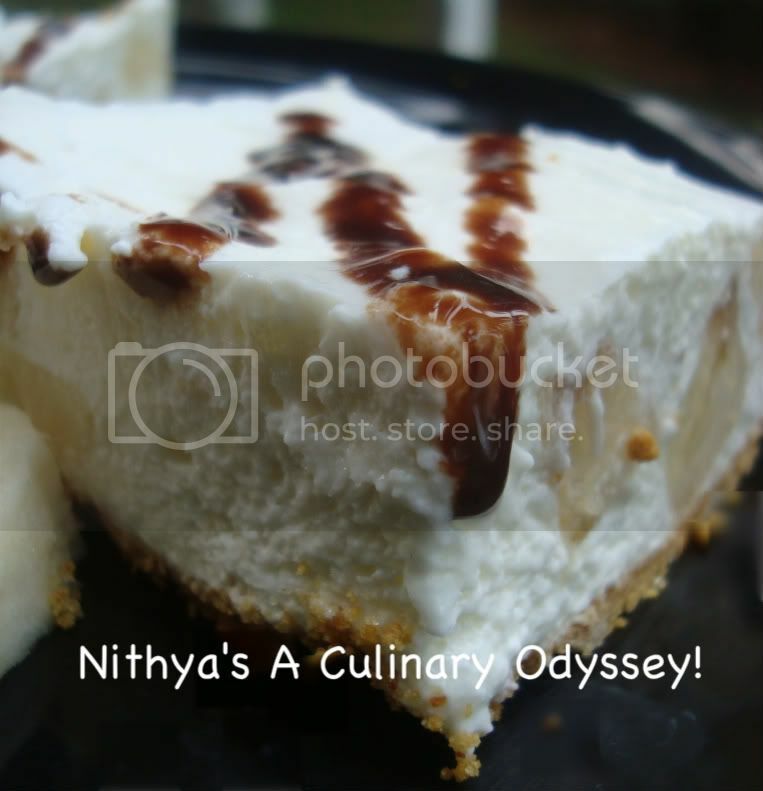 Very tasty dessert, Nithya. Enjoy your award and thanks for thinking about me too! wow! its mouthwatering and an excellent click of pics! Patience and Responsibility comes in so naturally after a child is born. It is as if we are transformed right when we see the baby in our arms. The dessert looks delicoius. Wow..what a lovely dessert. Perfect for this hot weather:). That's a lovely dessert Nithya. I'll include it in the round up. Thanks for sending it. Looks so delicious...very inviting photo! This sounds great! Kinda like a cheesecake but better, I'd take this for dessert on a hot summer day like today :).